My name is SaDonna and at the age of 45, I finally wrote a story that had been in my head for over 30 years. The end result is a multi-volume series. I didn’t start out to write a series of novels…I was only going to write one. It was to be a novel about a very special time in my life when everything in my world was turned upside down because of a tornado. It was supposed to pay homage to my life-long friendship with a girl I should never have been friends with in the first place. Not because she was a bad person…actually quite the opposite. On April 10, 1979 a huge monster of a tornado ripped through my hometown of Wichita Falls, Texas. I was 12 years old. The tornado turned everything I ever knew into a surreal state. My home was destroyed as well as my school. I had to go live with my mom in Corpus Christi for the rest of the school year and when I returned to my dad and step-mom life as I’d known it was totally destroyed. I had to go to school at the high school while my junior high school was being rebuilt. I ended up meeting and becoming friends with a girl totally out of my league. For whatever reason and God’s good grace, this girl ended up being my lifelong best friend. She was cool, beautiful and the best person I’d ever known to that point. The following year when we were big, bad 8th graders at our new junior high, she planted the idea with me to write a book about our friendship. Up to that point, I probably could have done it in just one book. But I didn’t quite know enough about life or writing to do the story justice. I began our story many times from the age of about 15 or 16 until I finally was able to get it down at 45. By that time we had a lifetime of things that had happened….at least I had. When the divine inspiration hit me to finally tell our story, well, the story became a series. I think though that it is an awesome story about love, redemption, fate, fear and empowerment. While inspired by my life’s story, it is very much a fictional tale and only I know what truly happened. 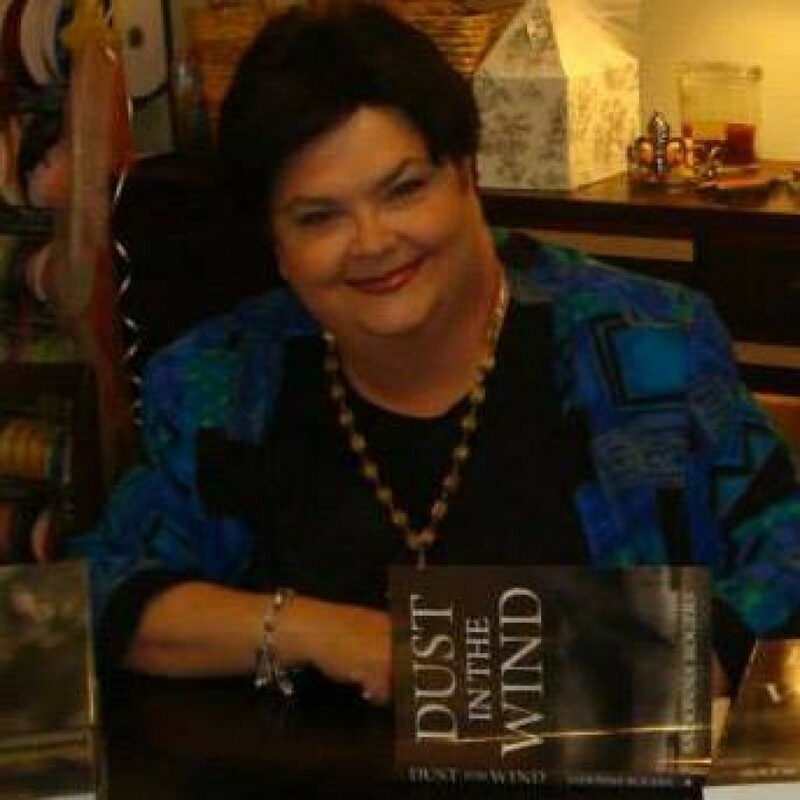 The first novel in the series, “Dust In The Wind” was published in April of 2014. The second novel, “Still” was published October 2014. The 3rd came out at the end of 2015! The fourth volume, “Please Don’t Go” will be out at the end of 2016. I began this website in order to share the ups and downs of being an author at the tender age of 47. I’m now not only a mom, but I’m a Nonna too. I thought if I ever became an author I’d do it when I was young, but life has a way of getting in the way of dreams sometimes. I was a single mom to my son from the time he was 4 months old in November of 1990 until today! I’m very proud of him as he transitions from child to young man and now a father . Please join me as I share about self-publishing my novels, becoming a grandmother, taking nostalgic trips back to the 70’s and 80’s and the ups and downs in this crazy thing called life. Below is a little more background info that is out there about me. I traveled the United States with my parents who had a band until I started first grade in Wichita Falls, TX. I wanted to become a writer at the age of 6 and showed talent throughout my school years as one. I wrote stories for my school newspapers from junior high through high school, even going to UIL State competition my senior year in journalism in 1985. Married shortly after graduating from high school, I put my dreams of a writing career to rest until 2012 when I decided to finally write the story my best friend planted in 1980 when I was 14. In just 13 months’ time, beginning in 2012 through 2013, I wrote 7 volumes of a continuing series about DeLaine Reynolds and her years growing up and finding her place in the world. There are 2-3 more volumes left to finish! The story follows DeLaine and her life from just after the tornado of April 10, 1979, in Wichita Falls, TX until she is a grandmother far into the future. The story deals with the very real drama of living. Inspired by actual events and people who were in my life, it is the story of a young girl who lives in dysfunction and grows up to be a strong and self-assured woman. I wanted to write a story to inspire people of all ages to find their voice. Divorced since 1991, I currently live in Goliad, TX. My son was a US Army soldier and I have one grandson and a grand-daughter!! An advocate for pet rescue, I own 3 dogs and 3 cats, all of whom found their way to my home in the country. Thanks for coming this far and I hope you enjoy the ride with me as well. Congrats on the book or books. Always wanted to write one myself, just cannot find the time! Your Dad and I were both Taco Peddlers with TMI. I know he is real proud of you. Just stay at it and you will be a big success! !